As the cargo director on the maiden voyage of the S.S. Buoyant, you’ve agreed to transport several tanks containing the last specimens of an endangered fish species to their new aquarium. Unfortunately, the boat is battered by a fierce storm, throwing your precious cargo overboard. Can you get the fish to safety and save the day? Steve Wyborney shows how. Lesson by Steve Wyborney, animation by Artrake Studio. What we saw today at The Academy of 21st Century Learning was epic! Students from Kindergarten through 10th grade were immersed in the discovery of the majesty of life. Having learned the different systems of the pig's body, students now experienced firsthand the complexities of life. Armed with scalpels, scissors, and tweezers, students dissected their fetal pigs. At the end of the day, a different kind of student walked out of our doors: a student filled with self-confidence, pride of accomplishment, and humility. They knew they had been a part of something extraordinary. Summer STEM Mornings, Session II starts July 10 - just 2 weeks away! It will also feature hands-on learning through dissection and discovery. There are VERY limited seats available! 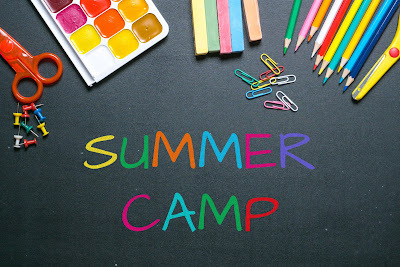 To register your child, please call (707) 474-4710 or register online by visiting our website (click on the following): www.Academy21Learning.com, the click on "Camps"! Inspire your kids to keep up their math skills this summer by creating an original math journal. Editor's note: This post was originally published June 10, 2014. During the summertime, it's essential for your child to practice math facts and keep up with her math skills. It's the best way to prevent the summer slide and ensure that she doesn't forget everything learned the previous school year during summer break. A great way to get your child to incorporate math into her summer learning is to create a math journal. Here's how to create one with your child and encourage her to use it all summer long. 1. Create the journal. Together, you can buy or construct a math journal that your child will be proud of and want to write in each week. She can use a blank journal and decorate it, or a 3-ring binder with loose-leaf paper. However her journal is created, it's important that she make it her own. 2. Come up with journal questions or prompts. You can find math journal questions for your child online, or you can create your own. Questions can be simple and open-ended — allow your child to be creative in how she sees mathematics. Having a special place to explore ideas and write about math thinking is an excellent way to develop a strong math student. You can also find problem-solving questions online or from a workbook that can be solved in the journal. These encourage precision and perseverance; it's important for her to realize that math isn't always fast. Create a list of how I used math today. Write a poem about _________ (ex: fractions). Research a mathematician and write a report about him/her. Pretend I am a shape. What shape would I be and why? Design a math bumper sticker. 3. Set a schedule. 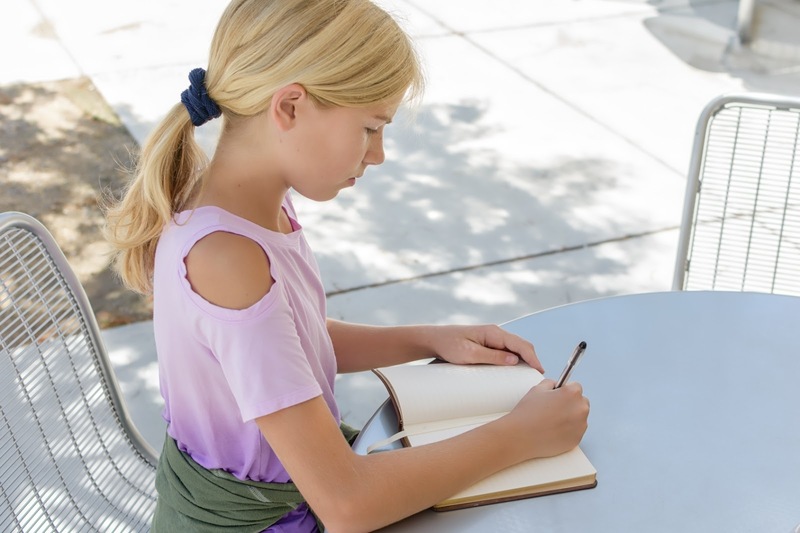 It's important to set a schedule during the summer for how long and how often your child will be working in her math journal. It can be daily or weekly, for 20 or 30 minutes — whatever you decide is best for your child. In no way should this feel like a chore! Setting up your guidelines ahead of time will help alleviate any resistance. 4. Have a journal party or sharing ceremony. To keep the math journal fun and exciting, consider having a journal party or ceremony where your child shares her work and journal responses. Children feel a great sense of pride and accomplishment when their time and efforts are validated. So remember to make it fun! In Cretaceous times (around 100 million years ago), North Africa was home to a huge river system and a bizarre menagerie of giant prehistoric predators -- including the Spinosaurus, a dinosaur even more fearsome than the Tyrannosaurus rex. Nizar Ibrahim uses paleontological and geological data to reconstruct this “River of Giants” in surprising detail. Lesson by Nizar Ibrahim, animation by Silvia Prietov. Are you considering summer tutoring for your child? The end of the school year is approaching and many parents are thinking about preparing for a child's summer plans. If tutoring has crossed your mind here are a few things to consider about whether or not it's a good idea. Summer tutoring can help a child with advancement or enrichment of subjects, preparation for standardized tests such as the SAT or ACT, review of foundations or concepts, and development of good study skills and habits. On the flip side, a child can view lessons as an unwanted activity that interferes with a carefree and fun summer. 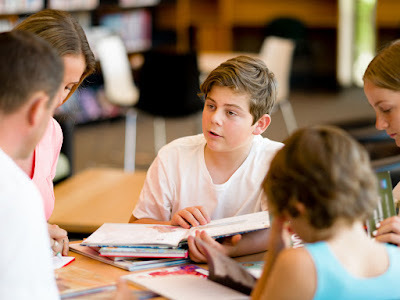 If you decide that tutoring is necessary or preferred for your child there are ways to arrange lessons so that they don't prevent your child from having a great summer. It's important to incorporate fun and cool activities such as going to the pool, playing sports, creating art, and taking trips so that your child will have things to look forward to. Additionally, carefully select your tutor. Look for someone who has a good background and great personality. The chemistry and rapport between a tutor and your child will influence how your child will feel about lessons. In my own teaching experience, I try to make my lessons as fun and interesting as possible and a parent has told me that his daughter never complains about coming to our lessons together (he let me know that she complains about having to attend other activities). Set aside a stable structure for lessons. Families often take a vacation or time off and this is fine but continuity of lessons is critical for progress. Don't cancel on lessons often or take them less seriously because it is summer. However, don't take them too seriously. If you take time off and reschedule a lesson don't apply extra pressure for the makeup. Slow and steady growth is ideal. If you can't find the right tutor or your child revolts at the idea think about letting lessons slide. In my opinion, it is usually unproductive to force a child to do something when he or she is rebelling against it. This could also cause a negative feeling overall towards academics. 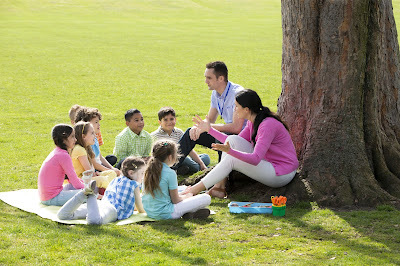 Summer lessons don't have to be viewed by your child as a nuisance. Learning should be seen as a positive experience. 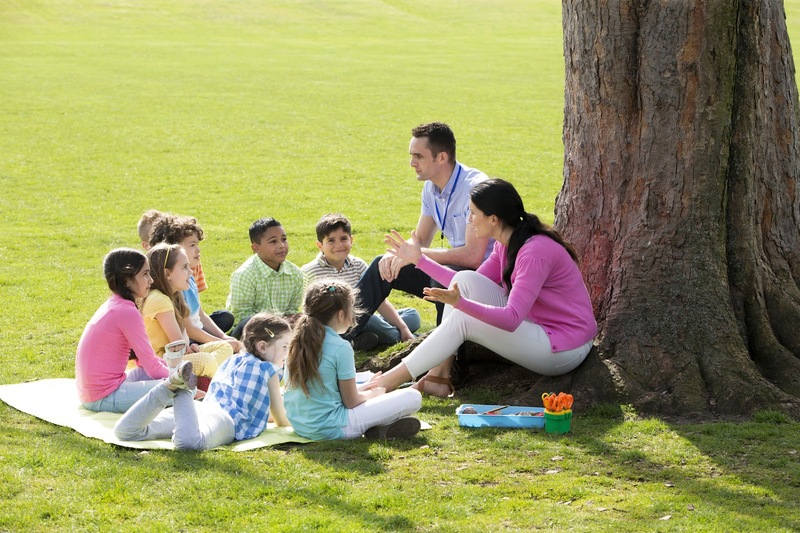 Did you know that many kids experience a phenomena called Summer Learning Loss every year? Essentially, they forget the information they learned in the previous school year over the summer months. In fact, studies have shown that kids lose an average of over 2.6 months worth of math skills in the summertime. For kids that were already struggling in a subject like math, this means that they will start off the next school year even further behind. During the summer months, kids are less likely to practice any time of mathematical computations. Most will not practice math skills outside any formal classroom setting. Other subjects such as reading, also show a learning loss as well. In reading, students will lose an average of 1 month of learning. Think of your favorite sport. Pick your favorite basketball, football, or soccer player. What would happen if they did not continue to train and exercise during off-season? They would then return to their sport and experience a lag in their performance. The brain is no different. It too, needs to be exercised. 1. Purchase educational workbooks. These are available at most bookstores and many cities also have special teacher supply stores that carry great learning material. These products are geared towards different grades so you can customize to your children's level. It is recommended that your children do at least an hour a day. 2. Visit your local library. Find some books with topics that interest your child so that they are really engaged in reading. The library is a great place to promote the love of reading! Reading comprehension is highly important and most states have standardized testing based off of reading scores. Your librarian can suggest grade-level appropriate books that will keep your child's attention with the text. 4. The Internet can be your friend! Check out safe, parent-approved Internet sites. Many will offer crafts, worksheets, and even power-busters to keep the brain moving! Many lessons are broken down by grade level making it simple to cater to your child's needs. There are also websites that allow the child to 'play' when in reality, they are learning! This is also a great opportunity to bring in new material that will prepare them for the next grade level! 5. Check out your local newspaper and community! Most communities will hold writing camps, editor-in-training seminars, art and dancing classes and more. Log on to your city website and see what is being offered within your community. 6. Enroll into a summer tutoring or teaching program. For children that are struggling academically, summer can be the perfect time to address it with a customized tutoring program. The summer months are an excellent time for your child to fill in learning gaps or zoom ahead with enrichment activities at supplemental learning centers, or via tutors or last year's teacher. Your child's teacher is an excellent resource to give you ideas for summer books to read and math workbooks to complete in between play and television watching. These ideas will help your child build up more confidence, and prepare them to start the new school with a bang! This is the opportunity to both stabilize and advance your child, what are you waiting for? Perpetual motion machines — devices that can do work indefinitely without any external energy source — have captured many inventors’ imaginations because they could totally transform our relationship with energy. There’s just one problem: they don’t work. Why not? 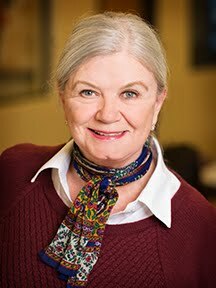 Netta Schramm describes the pitfalls of perpetual motion machines. Lesson by Netta Schramm, animation by TED-Ed. How to prevent children from losing what they learned from school during the summer. Our First Session of Summer Camp Begins June 12 - Register Today! Calling all kids! Come and explore the FUN of school as we study our letters, colors, shapes, and numbers. Children will explore the worlds of animals and plants. They will do fun experiments as they are introduced to functional numerical skills and the wonders of science. They will develop new vocabulary as they learn about community helpers and family members and will be encouraged to use simple reasoning to express everyday occurrences. They will build on their vocabulary skills by discussing stories being read and will begin to understand and follow simple directions. Our daily activities always reinforce age-appropriate social development. The students’ multiple skills will be enhanced by singing songs and playing relative games while incorporating routine structure into their activities and daily schedules. Our teachers encourage both independence, as your child learns to verbalize wants and needs and, very importantly, the role of inter-dependence as children are introduced to taking turns. This class with its educational experiences is the perfect way to introduce your child to the wonders of learning! Sparkle your child’s imagination! It’s time to jump on the STEAM bandwagon for a sizzling Summer Kindergarten through Second Grade at The Academy! We will study rocks, plants, mixtures and solutions. In our final week, we will have an amazing and deliciously-fun Build-It Festival. The Festival will include a wide assortment of classroom learning-station activities which focus on mathematics relating to construction, geometric challenges, and spatial visualization. Activities will connect to the real world and even potential careers. Free exploration sets the stage for such mathematical challenges as Create-A-Shape, Bridge Design, Symmetry, Tangrams, and lots of amazing structures! Background on geometry is provided. Special materials include Lego’s, boxes, pattern blocks, more boxes, and more boxes. This program sounds like great fun, doesn’t it? We will also work on: Reading: letters, sight-words, fluency, and comprehension Math: writing numbers through 20, measurement, greater than & less than, and geometrical shapes & patterns Art: color mixing, water and oil painting outside in the park, create mosaics, and decorating T-shirts Music: dancing, singing Yoga: stretch and learn balance and focus Fieldtrips: The trips may not be far-away and exotic, but they will be fun and educational. Summers are very popular at The Academy. Whether your child has just finished or will start Kindergarten in the fall, this program will inspire them to do their best, because doing your best is fun!! Deep inside Yale's Beinecke Rare Book and Manuscript Library lies a 240 page tome. Recently carbon dated to around 1420, its pages feature looping handwriting and hand drawn images seemingly stolen from a dream. It is called the Voynich manuscript, and it’s one of history’s biggest unsolved mysteries. The reason why? No one can figure out what it says. Stephen Bax investigates this cryptic work. Lesson by Stephen Bax, animation by TED-Ed.